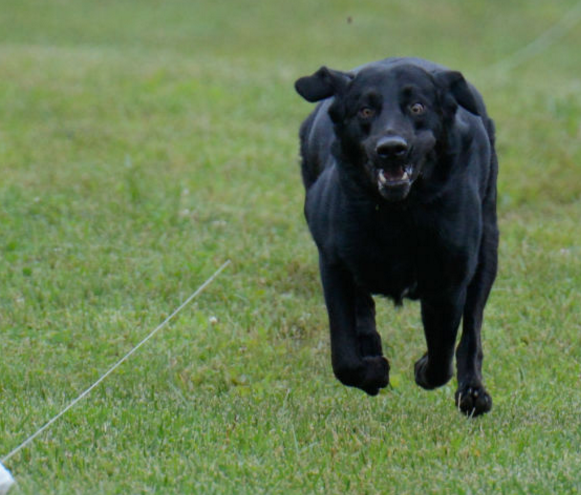 Once again, we are so pleased to be offering two sets of Fast CAT tests along our all-breed dog show Sunday, April 29th at Preble County Fairgrounds, in Eaton, Ohio. Entries are now open and the entry blank can be found in the menu on the left side of this page. Pre-entry is $20, day of test (IF there are any spaces available) will be $25. There is space for 50 dogs in each test and a waiting list of 25. Dogs run towards their owner on a hundred-yard straight course that is lightly enclosed with snow fence. Qualifying runs are awarded a light blue flat ribbon, new title holders receive a commemorative rosette. 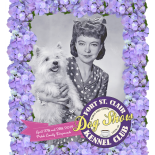 Fort St. Clair Kennel Club is so grateful to members Tracy & Jeff Leonard, who have brought this great new event to our club and through their incredible hard work and effort we have been able to offer two sets of tests each year. What time will the FAST CAT start Sunday afternoon. Also, what time will it end. The trial officially begins at 7:30 a.m. and will run until completed. We would have taken “day of” entries until 8 a.m. except that both tests filled with pre-entries. Where is the entry form for the May18-19 Fast CAT runs? I can only find one fr last year. This entry was posted on February 15, 2018 by fortstclairkennelclub in American Kennel Club, FAST CAT, Fort St. Clair Kennel Club, FSCKC Members, Preble County and tagged FAST CAT, Fast CAT April, Fast CAT entry form, FAST CAT Ohio, Fort St. Clair Kennel Club.